What is a Variable Frequency Drive? Optidrive Eco Variable Frequency Drives provide efficient, reliable and quiet control of motors for HVAC and pumping applications. 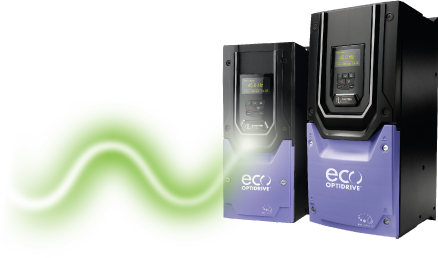 Designed to provide maximum operating efficiency whilst minimising environmental impact, Optidrive Eco offers unrivalled performance and flexibility, whilst meeting the key standards and requirements of demanding applications. Invertek’s products are designed and manufactured in the UK to the quality and environmental management system principals of ISO9001 and ISO14001. © 1998 - 2019 Invertek Drives Ltd. All Rights Reserved.